Nailsworth Community Workshop provides affordable craft opportunities for the whole community. We have weekly educational courses in wood, stained glass and leatherwork. We also run a Production Workshop and a Men's Shed. 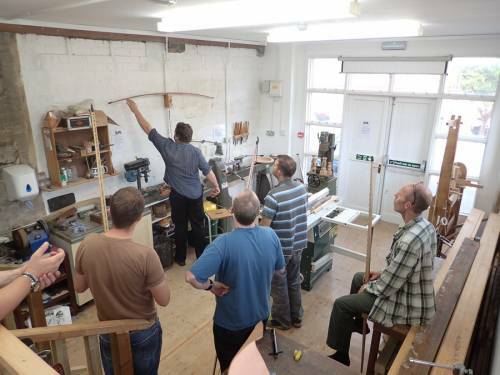 Our weekend courses in English Longbow and knife making are very popular. Our aim is to promote confidence and self-belief whilst developing practical skills. The groups are small and taught by skilled, professional craftsmen in a relaxed and informal atmosphere. We are a not-for-profit company based in the Nailsworth Subscription Rooms. On Monday morning we have introduced a third home education group 11-1. Cost is £10.50 a session payable every half term plus material costs. Monday afternoon and Tuesday we have a Production Workshop where we invite people to join us for meaningful activity making beautiful things in wood. 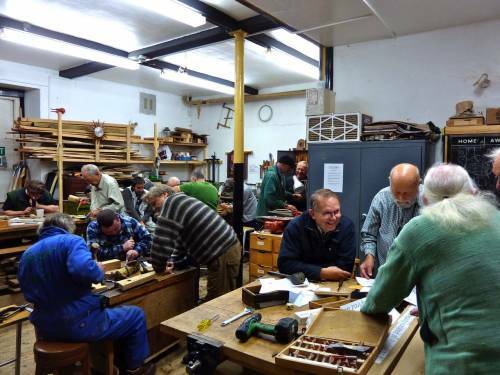 On Tuesday afternoons 1.30-3.30 we run a Men’s Shed where we provide meaningful work and opportunities for people who are not in employment for whatever reason. On Fridays we offer two sessions for home educated children of age 10 and upwards from 9.00-11.00am, and from 11.30am-1.30pm. The cost is £10.50 per session payable every half term plus materials. On Tuesday evenings 7.00-9.00pm and Friday afternoons 2.00-4.00pm we are running a Stained Glass course. Cost is £15 plus materials per session and is suitable for anyone 10 years old upwards of any ability. See our web site for weekend course dates and more information.